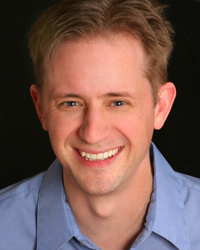 K. Brian Neel is a theatrical performer, director and writer. He began in 1985, performing with America's seminal experimental improvisation ensemble, Kings' Elephant Theater. He was Artistic Foreman of the Seattle Mime Theater for six years, performing in their repertoire, as well as creating original work and touring with them around the world. Brian has acted at most every theatre in Seattle including On the Boards, Intiman Theater, Empty Space Theatre, Theater Schmeater, Annex Theatre, Book-It Repertory Theatre, and The Tumbling Tumbo Brothers. He has written two screenplays and sixteen stage plays, including The Devil’s Mile which was workshopped at ACT Theater in 2002. He is an award winning director of plays including the west coast premiere of the Off-Broadway sensation The Erotica Project by Lillian Anne Slugocki and Erin Cresida Wilson; 52 Pickup by TJ Dawe which performed in Asia and Australia; a free-speech performance art piece called Pieces of the First; a collaboration with local performer Troy Mink called Kentucky Ghosts; and the opera Luisa Miller for Puget Sound Opera. Brian has created six inimitable solo plays which have toured the U.S., Canada and Australia. They include the science fiction trilogy The 42nd Floor; the noir film on stage, Double Climax; and a ukulele operetta, Vaud Rats. He also performs with Teatro ZinZanni and Magic Circle Mime, and teaches improvisation, acting, physical theater, and stage combat. www.kbrianneel.com.